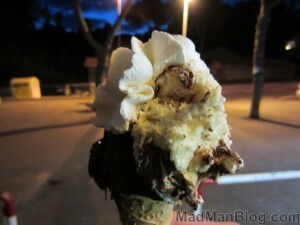 This is the first taste of gelato that I had in Italy. It was AMAZING! But, not necessarily due to the gelato itself. Note that the first scoop of ‘stuff’ is actually a scoop of nutella! So, just like in any good ice cream shop at home, they have lots of different flavors and toppings from which to choose. 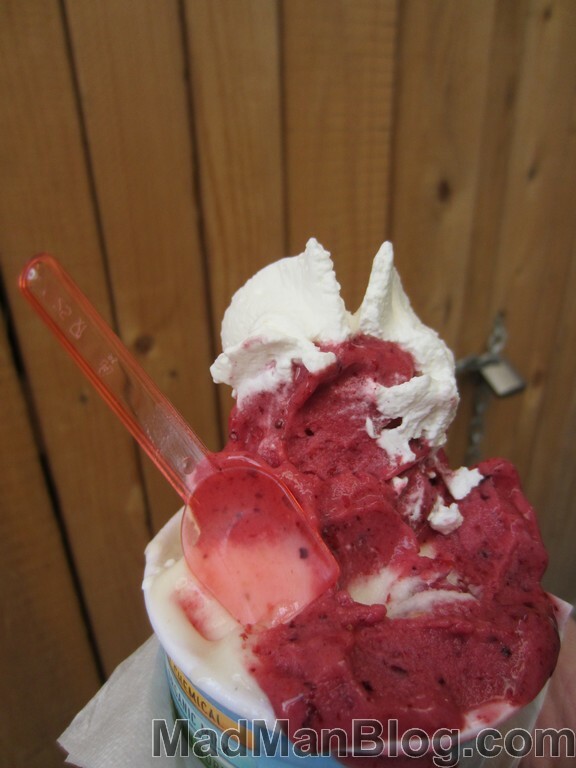 The gelato itself is really great tasting. It is almost like a sweeter, richer, fuller version of ice cream. Each bite is like an explosion of flavor that assaults your taste-buds with sweet yummy goodness. And, to boot, it is not as cold as ice cream; so, you don’t have to worry about those pesky brain-freezes! Now, what actually is gelato?! Well, it literally just means “ice cream.” However, it differs from ice cream in that it has less butter fat, is not aerated, is served at a warmer temperature than ice cream, and may have more sugar than ice cream. Also, instead of little plastic spoons, they give you a little plastic shovel with which you can eat your gelato. This really gives meaning to shoveling food into your mouth, except that the shovel is very small. The last thing to mention is that everything contained within a gelato shop, often known as a gelaterie, is not always gelato; remember that there is a scoop of nutella on the first photo of my gelato above. Also, some of the flavors will taste more like the traditional ice cream that you might have at home than anything else. I recommend asking the person behind the counter for their recommendation and going from there; although, sometimes that means you will end up with at least one scoop of nutella ;).